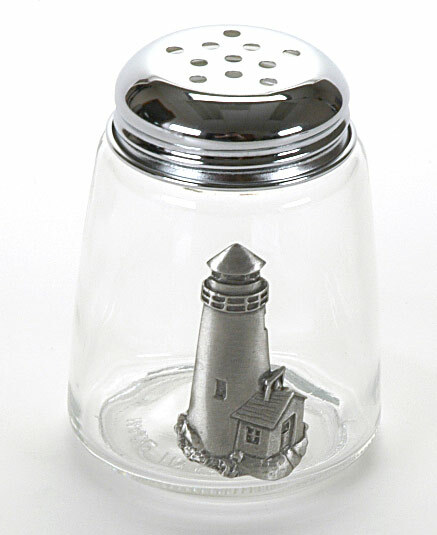 Our beautiful line of Glass Salt and Pepper Shakers come with a decorative, nautical type decoration. Each shaker has a stainless steel top. 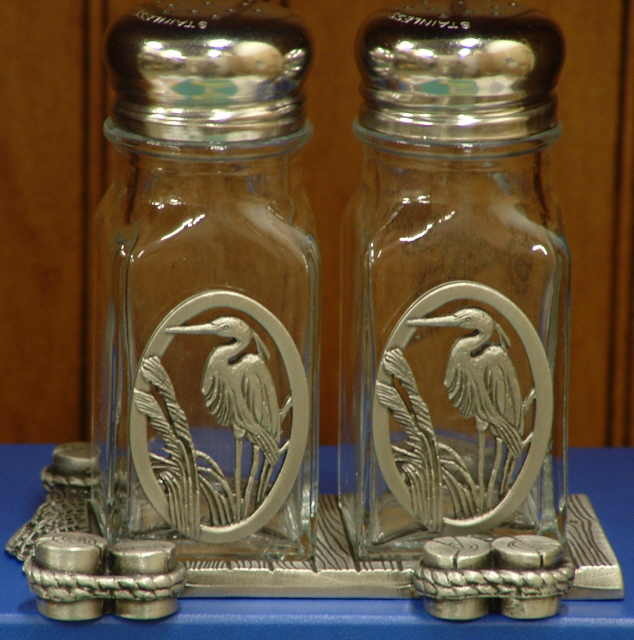 Available in either "Blue Crab in Net" Theme, Great Blue Herons, and Lighthouse Themes. 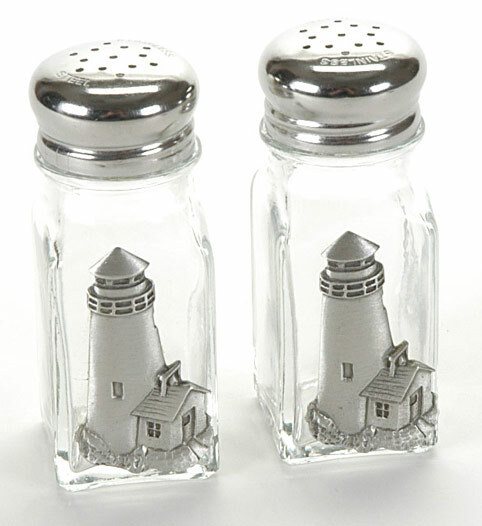 Our Salt and pepper shakers are sold by the set. An optional pewter dock "stand" is available. Each individual shaker is 4" Tall x 1-1/2" Wide. 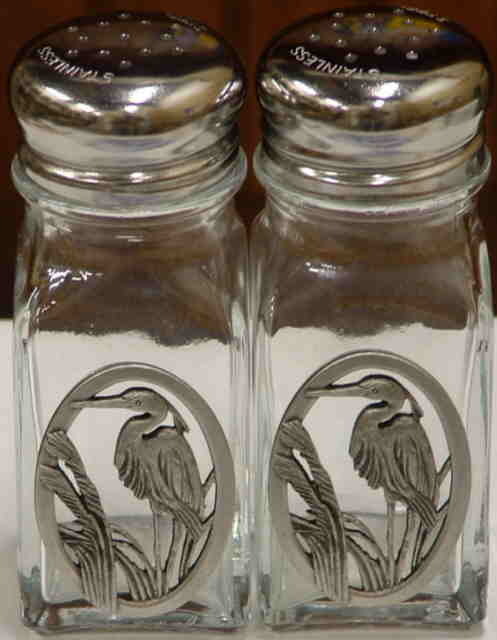 Two (2) shakers next to each other, (side by side) measure 3-1/8" wide. Pewter Boat / Dock sold separately. (Note: These shakers all have the same size holes at the top). 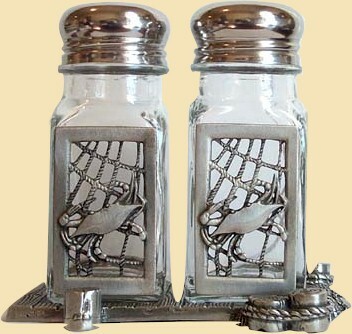 The Pewter Dock features very authentic characteristics and intricate details of a pier, "rope around the pilings, and a crab in the netting. 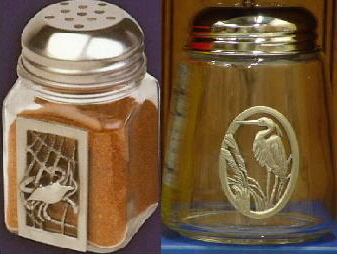 Cheese Shakers, Spice Shakers (Ideal for Crab Seasoning) - Great Gift. 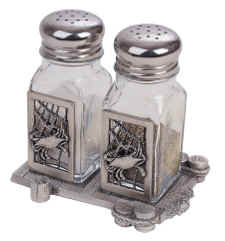 Each individual shaker is slightly shorter than the Salt and Pepper shakers listed above (Approx 3- 3/4" Tall x Approx 2-1/4" Wide at the Top. Sold individually.